This chapter investigates companies which contribute to better maintenance of aging and shrinking communities through business and entrepreneurship. Rural communities based on agriculture in developed countries suffer from aging and declining populations and structurally weak local economies, and require creative solutions to maintain the living standards and quality of life of the residents. Redefining and recreating local businesses are among these measures. To identify how businesses can stimulate local economies, two successful companies from Japan and Germany are compared. In both companies, the impact of entrepreneurial leadership is striking. The companies engage in using new combinations of local resources, including aging human capital, to stimulate residents to participate in their enterprises, and their efforts include business and social aspects. Araki, Laura. 2012. Japanese Agricultural Reform and the Trans-Pacific Partnership. An Interview with Aurelia George Mulgan. The National Bureau of Asian Research. Accessed September 15, 2017. http://www.nbr.org/research/activity.aspx?id=257. Bundesministerium für Ernährung und Landwirtschaft. 2017. Ländliche Regionen verstehen — Fakten und Hintergründe [Understanding Rural Regions—Facts and Background]. Accessed June 30, 2018. https://www.bundesregierung.de/Content/Infomaterial/BMELV/LR-verstehen_5814332.html. Dees, J. Gregory. 2001. The Meaning of “Social Entrepreneurship”. 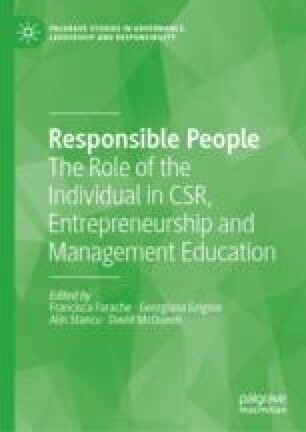 Accessed September 15, 2017. https://centers.fuqua.duke.edu/case/wp-content/uploads/sites/7/2015/03/Article_Dees_MeaningofSocialEntrepreneurship_2001.pdf. John, Rob. 2015. Venture Philanthropy: The Evolution of High Engagement Philanthropy in Europe. Last Modified October 23, 2015. http://eureka.sbs.ox.ac.uk/745/. Kaphengst, Timom, and Eike Karola Velten. 2014. Energy Transition and Behavioural Change in Rural Areas. WWW for Europe Working Paper 60. Accessed June 30, 2018. http://hdl.handle.net/10419/125718. Ministry of Agriculture, Forestry and Fisheries. 2016. Heisei27nendo shokuryō, nōgyō, nōson hakusho [White Paper on Food, Agriculture, and Agricultural Communities 2015]. Accessed June 30, 2018. http://www.maff.go.jp/j/wpaper/w_maff/h27/h27_h/trend/part1/chap3/c3_0_00.html. Ministry of Agriculture, Forestry and Fisheries. 2017. Heisei28nendo shokuryō, nōgyō, nōson hakusho [White Paper on Food, Agriculture and Agricultural Communities 2016]. Accessed June 30, 2018. http://www.maff.go.jp/j/wpaper/w_maff/h28/h28_h/trend/part1/chap3/c3_1_00.html. Ministry of Agriculture, Forestry and Fisheries. n.d. Chiiki shigen o katsuyō shita nōringyōtō ni yoru shinjigyō no sōshutsutō oyobi nōrinsuisanbutsu no riyōsokushin ni kansuru hōritsu (rokujisangyōka chisanchi shōhō) ni tsuite [On the Act for Promotion of Creation of New Business by Farmers, Foresters, and Fishermen Applying Local Resources as Well as for Promotion of Application of Local Products in Agriculture, Forestry, and Fisheries (Act for the Sixth Industry and Local Production for Local Consumption)]. Accessed September 15, 2017. http://www.maff.go.jp/j/shokusan/sanki/6jika/houritu/index.html. Municipality of Kamikatsu. 2016. Nenreibetsu jinkōjōkyō [Population According to Age Group]. Accessed August 24, 2017. http://www.kamikatsu.jp/docs/2011012800173/. Nakamura, Ryōhei. 2016. Chihō o genki ni suru chihō sōsei no arikata [Strategy for Regional Revitalization]. Research Institute of Economy, Trade and Industry (RIETI). Accessed June 3, 2018. https://www.rieti.go.jp/jp/papers/contribution/nakamura/14.html. Small and Medium Enterprise Agency. 2014. 2014 White Paper on Small and Medium Enterprises in Japan. Fight Song for Micro Businesses. Accessed June 30, 2018. http://www.chusho.meti.go.jp/pamflet/hakusyo/H26/download/2014hakusho_eng.pdf.